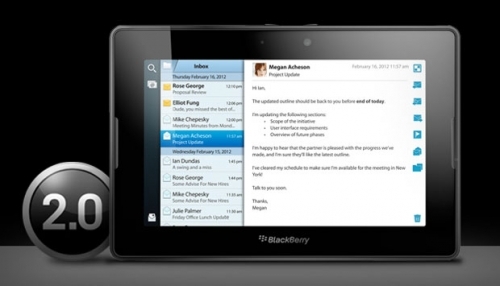 BlackBerry PlayBook OS 2 gets updated | BlackBerry Blast! If you have a BlackBerry PlayBook there is a new update out today. BlackBerry PlayBook OS v2.0.1.358 is now available as a free over the air download to your PlayBook. You will receive a notification, but if you're too anxious to wait you can download it now. Just head to Settings - Software Updates to get the new update.